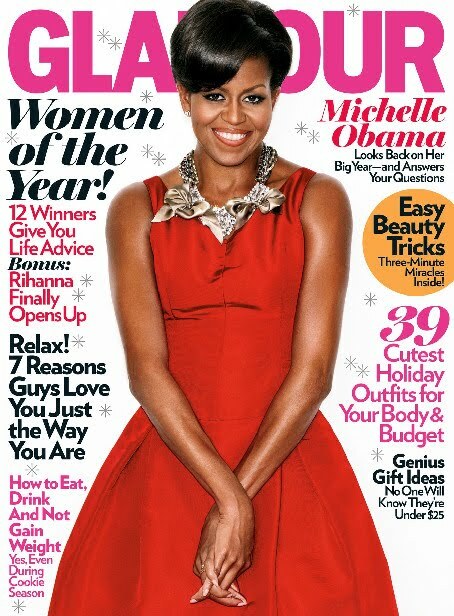 Our Fabulous Michelle Obama is the FIRST lady to cover Glamour magazine. She looks beautiful in this December issue that discusses dating advice, and other fun topics. Michelle is wearing her very own drop-waist, red cocktail dress. Her dress has a ballskirt and a chunky, bow-inspired necklace. She doesn’t credit a designer for her cover dress. It’s just a lil somethin she had in her closet. Previous postTREND ALERT: Pink in the Fall?